Alexa Bliss approaches Nia Jax backstage. Bliss tries relating to Jax and tells her there’s not a single woman in the match tonight that can drag her down. Bliss says Jax doesn’t need it but she wishes her good luck. Jax says she’s right… she doesn’t need the good luck because she will see Bliss and the RAW Women’s Title at Great Balls of Fire. Back to commercial. We go to the ring and out comes Bayley for tonight’s main event. The winner will go on to face RAW Women’s Champion Alexa Bliss at Great Balls of Fire. 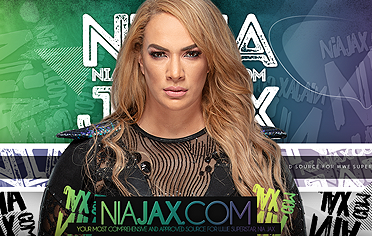 Nia Jax is out next to start the match off. Nia talks some trash as they meet in the middle of the ring. Bayley stomps on her foot and goes to work but can’t knock Jax over. Jax scoops her and launches her into the corner. Jax keeps control dominating Bayley and talks more trash. Bayley finally makes a comeback and covers for a 2 count. Bayley goes right back to work but Nia tries fighting back. Bayley continues focusing on the leg. Nia kicks her back into the corner. Bayley goes to the top but Nia knocks her down and she lands hard. Nia with the Samoan Drop for the pin. Bayley is eliminated. Mickie James is out next as Nia gets to her feet. We go to commercial. Back from the break and Nia has Mickie down in the corner. Mickie looks to make a comeback but Nia applies a bearhug. Mickie fights back and gets free. They go on and Mickie nails a Thesz Press from the top. Nia pushes Mickie off but she comes back with a Mick Kick. Nia blocks the DDT and tosses Mickie across the ring. Nia floors Mickie and covers for the pin. Mickie has been eliminated. Dana Brooke is out next. They meet in the middle of the ring and Dana shoves her. Nia comes right back and goes on to nail a big leg drop for the quick pin. Dana has been eliminated. Emma is out next. Emma heads to the ring as Nia looks on. Emma slides in but slides right back out. Nia grabs her by her hair. Emma takes advantage and comes in with a dropkick. Emma with another shot for a 2 count. Emma goes to the top for a crossbody but Nia catches her in mid-air and turns it into a Samoan Drop. Nia gets the pin and Emma has been eliminated. Sasha Banks is out next. Sasha hits the ring and unloads. Nia grabs her but Sasha hits a jawbreaker. Sasha with a big shot to the face, telling Nia to bring it. Nia charges but gets sent to the floor. Sasha goes for a dive but Nia catches her in mid-air. Nia goes for a Samoan Drop on the floor but Sasha rams her into the ring post. Sasha goes to the apron and nails the double knees. Sasha stands tall on the floor as we go to commercial. Back from the break and Nia has Sasha down in a headlock. Nia tosses Sasha to the floor and takes a breather in the ring. The referee counts while Sasha is down on the floor. Sasha comes back in but Nia sends her to the corner. Nia walks into a big boot. Sasha with knees in the corner, and again. Sasha charges again but Nia catches her and floors her coming off the ropes. Nia covers for a 2 count. Nia tosses Sasha back to the floor and tells the referee to count. Sasha comes back in and looks to turn it around but Nia drops her. Nia keeps control and mocks Sasha. Nia scoops Sasha and slams her on the mat. Nia drops an elbow and covers for another pin attempt. Nia tosses Sasha back to the floor and tells the referee to count. Sasha comes back in but Nia keeps her down. Nia continues to dominate Sasha, covering for another 2 count. Nia drags Sasha to the corner and kicks her out of the ring again. The referee starts counting but Sasha makes it back in. Nia grabs Sasha and applies another bearhug. Sasha looks to turn it around with a choke but Nia counters with a suplex. 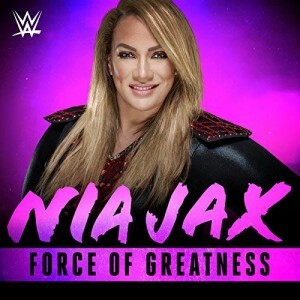 Nia with another 2 count. Sasha blocks a suplex attempt but Nia goes for it anyway. Sasha counters and tries to roll-up Sasha. Nia goes for a leg drop but Sasha moves and she lands hard. Sasha drops Nia with an elbow to the jaw. More back and forth. Sasha tries for the Banks Statement but Nia overpowers her. Nia catches Sasha in a big Samoan Drop but she’s slow to make the pin as Sasha rolls under the bottom rope. Sasha fights back from the mat. Nia talks some trash and grabs Sasha by her hair. Nia goes for another big Samoan Drop but Sasha counters into a modified Banks Statement attempt. Sasha with a submission while on Nia’s back. Nia goes to both knees as Sasha has the Banks Statement locked. Sasha keeps the hold locked until Nia taps out for the finish.